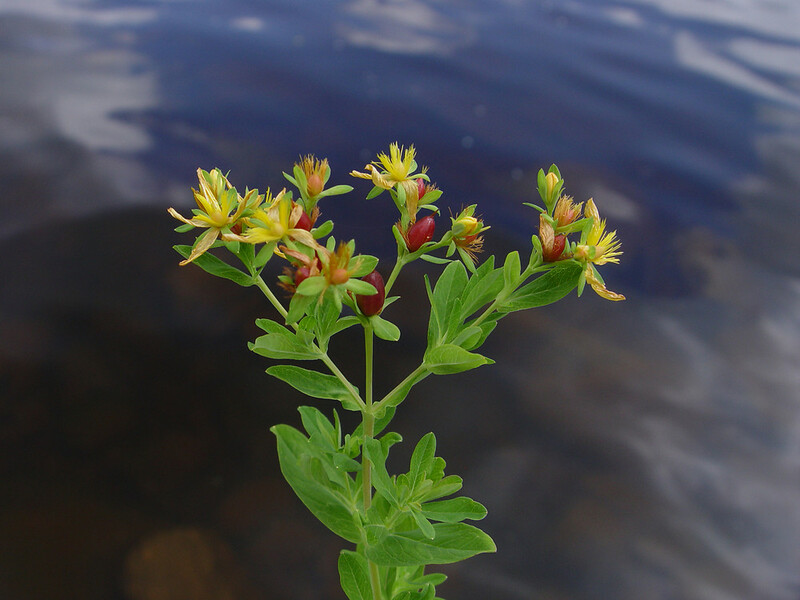 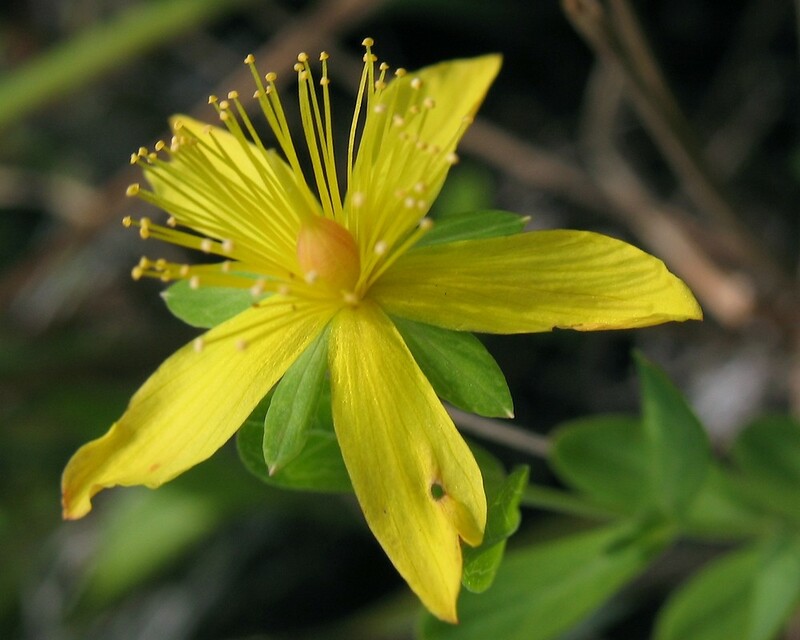 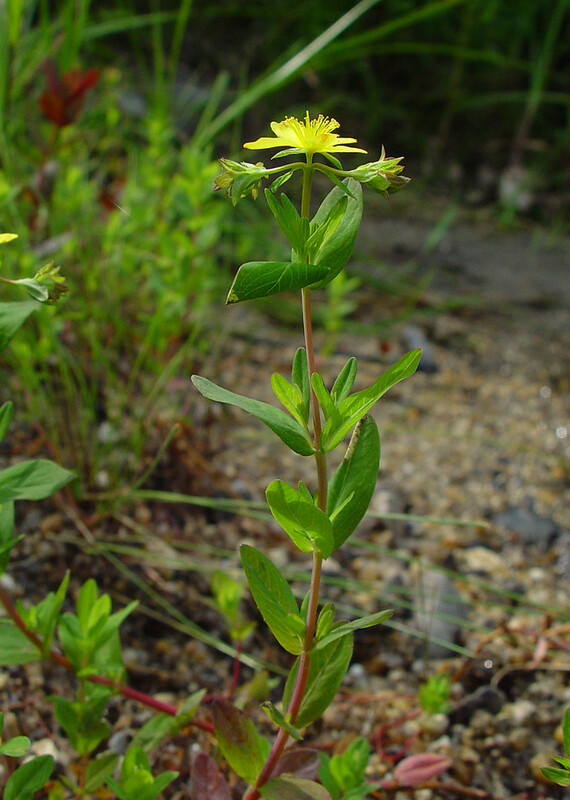 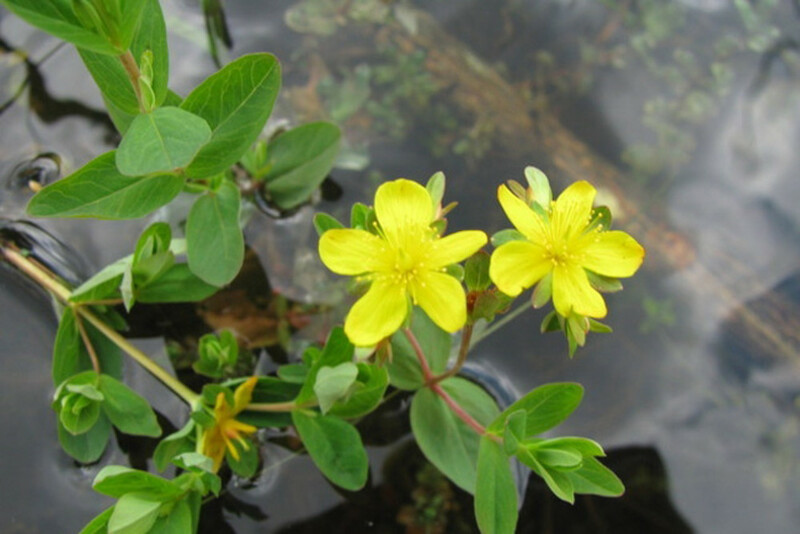 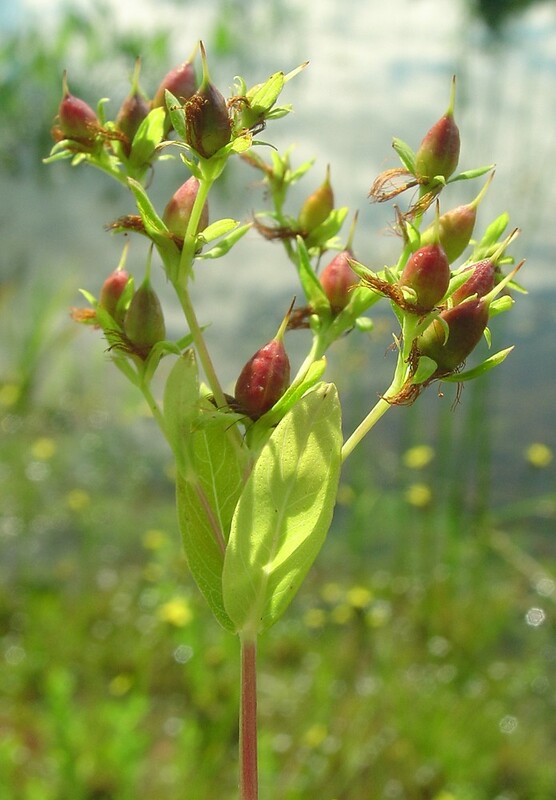 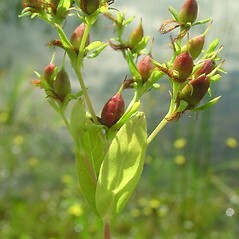 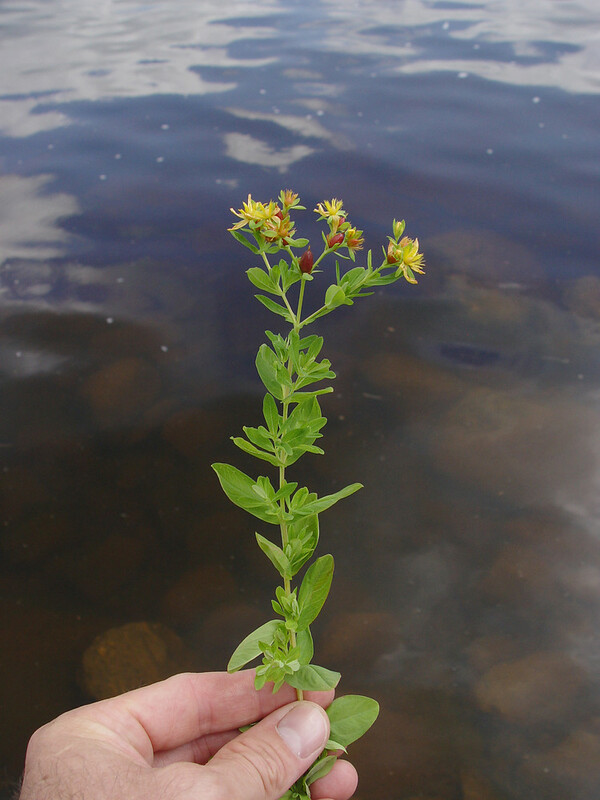 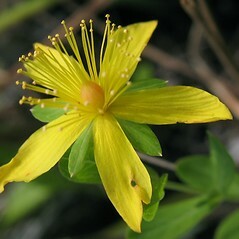 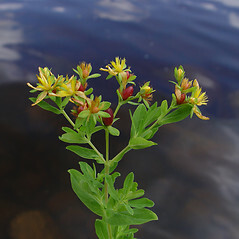 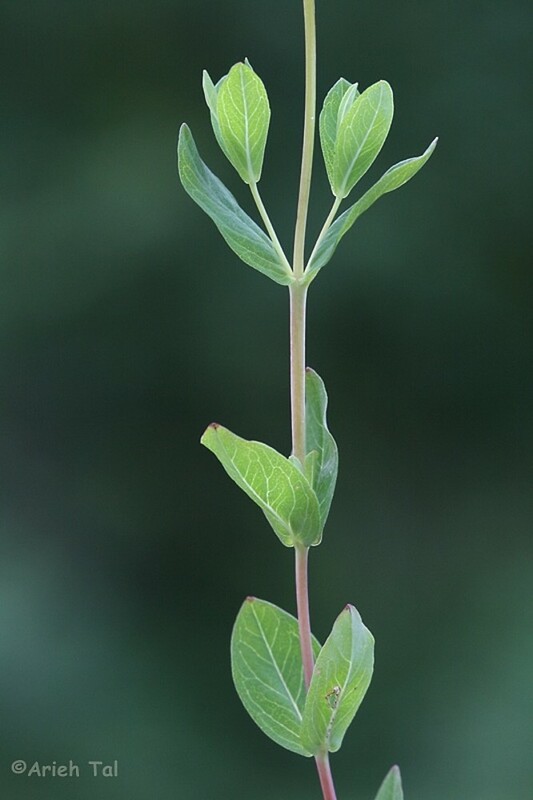 Pale St. John's-wort, in a study of competition and tolerance, was unable to tolerate the presence of near neighbors of other species when grown on fertile soils, while on nutrient-poor soils it was highly tolerant of neighbors. 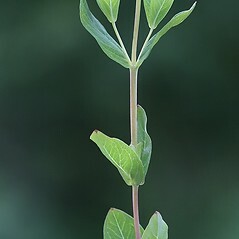 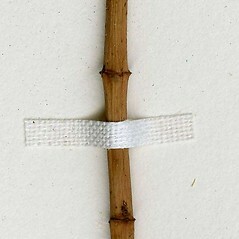 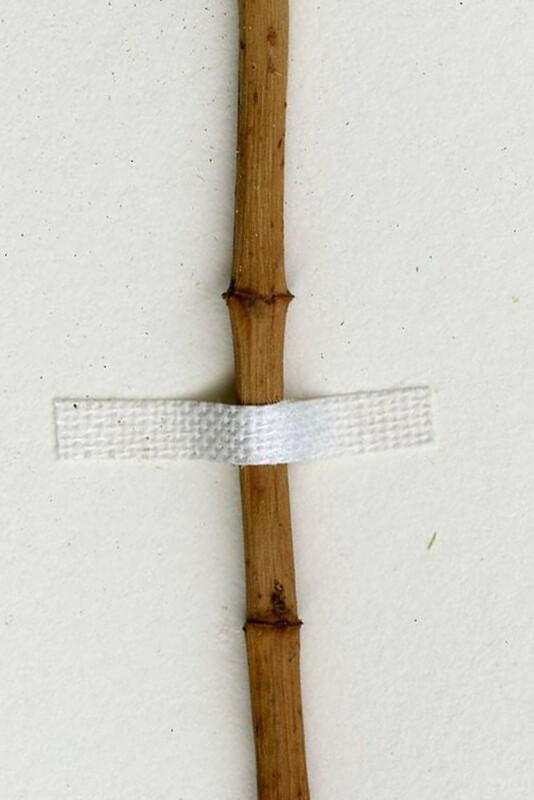 leaf blades with revolute margins, narrow-lanceolate to narrow-oblong or narrow-elliptic, 3–6 cm long, 4–6 times as long as wide, and sepals lanceolate to ovate, widest near or below the middle (vs. H. ellipticum, with leaf blades with flat margins, elliptic to elliptic-oblong, mostly 1–3 cm long, 2–3 times as long as wide, and sepals oblanceolate to narrow-obovate, widest above the middle). 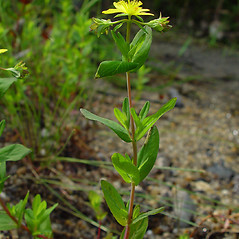 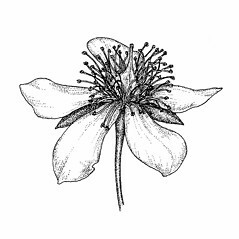 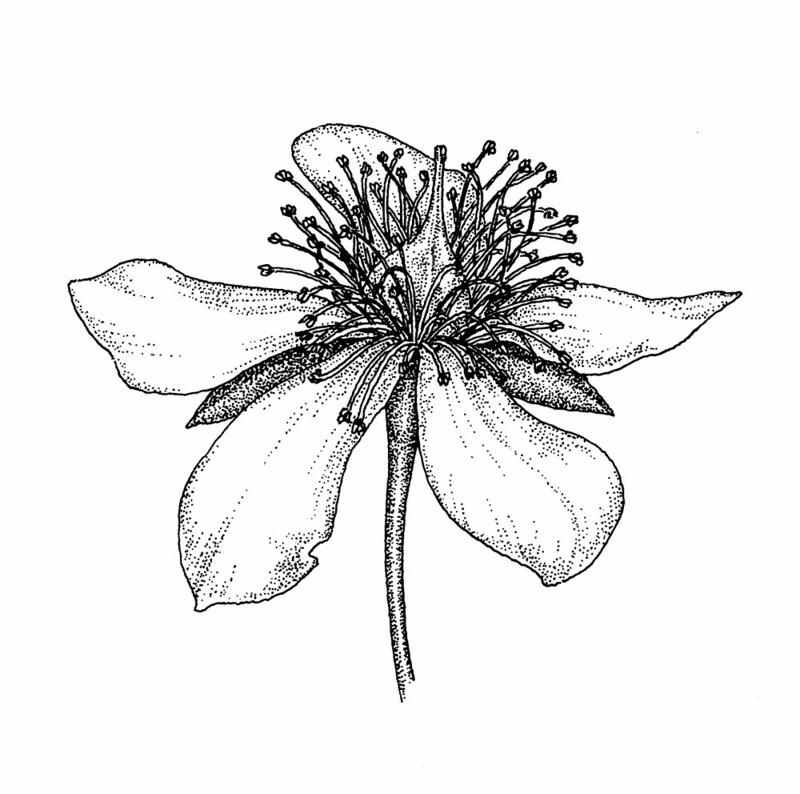 sepals distinctly unequal, petals 10–13 mm long, strongly asymmetrical, relatively straight on one margin and strongly convex on the other margin, and stamens numbering 120–200, deciduous (vs. H. ellpticum, with sepals subequal to somewhat unequal, petals 5–8 mm long, +/- symmetrical to weakly asymmetrical, and stamens numbering 60–95 per flower, persistent). 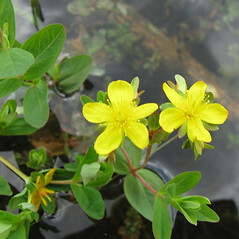 pale St. John’s-wort. 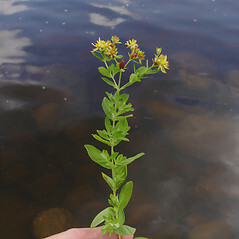 CT, MA, ME, NH, RI, VT. Shorelines, marshes, low fields, wetland edges.